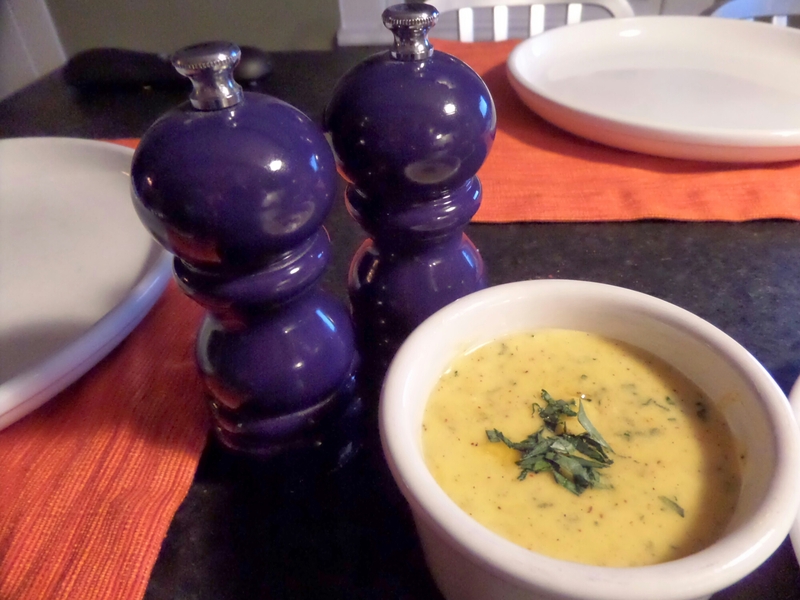 There isn’t a vegetable or a cut of meat that doesn’t taste better with bearnaise. There just isn’t. I’ve always gone the quick route and bought the packages to make this yummy sauce. The dried stuff is actually really tasty (once you doctor it up with fresh tarragon and wine) but making it from scratch is really the way to go. 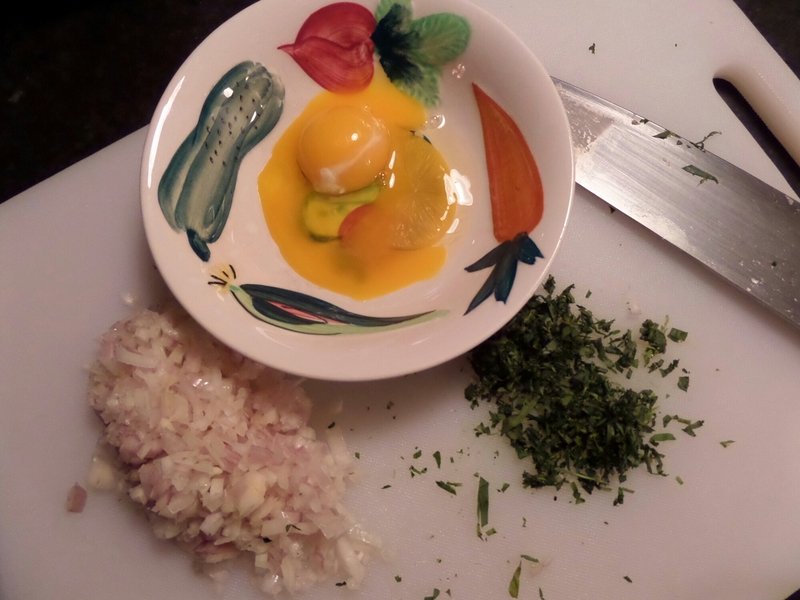 Butter, shallots, tarragon, egg yolks, vinegar, wine, cayenne pepper, salt and black pepper…. That’s it! 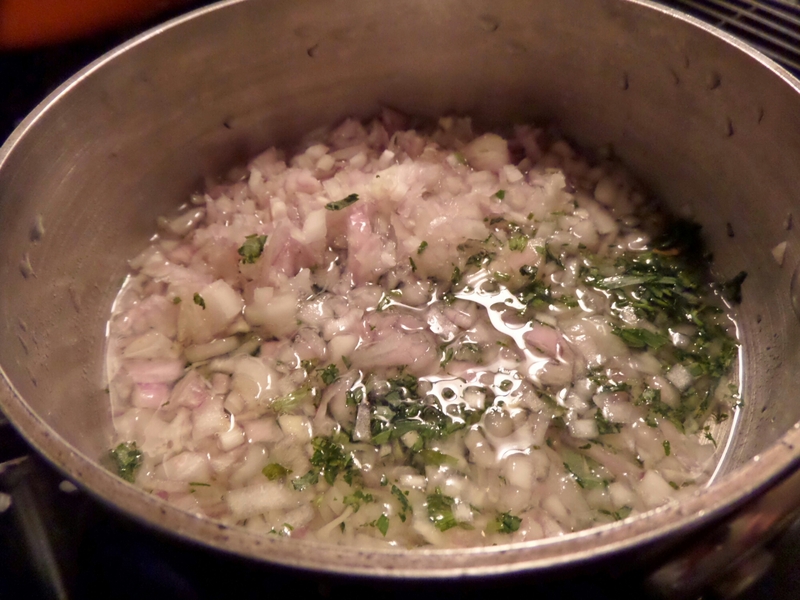 The first step is to let the shallots and tarragon boil in a mixture of wine and vinegar. 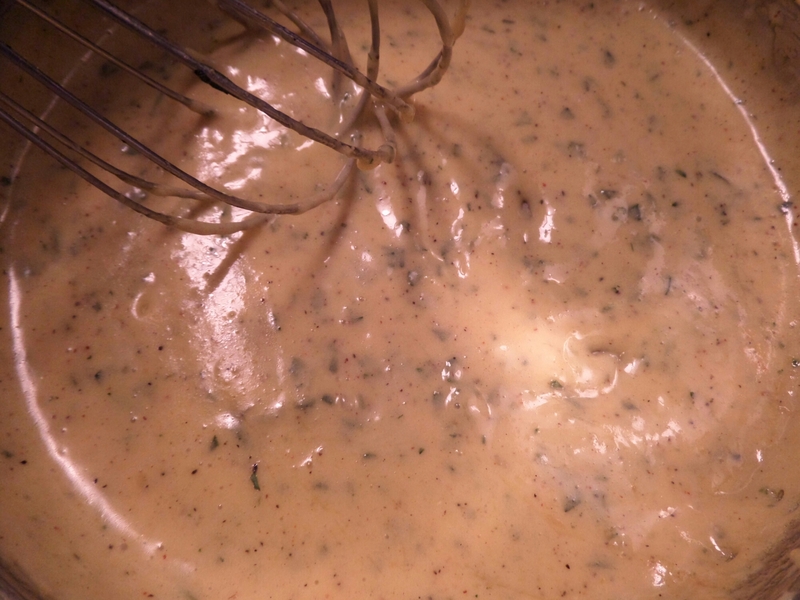 You’re probably thinking, ‘Wait, bearnaise isn’t supposed to be chunky!’. You would be correct. The liquid is strained into the top of a double boiler. This becomes the base. Next up? The egg yolks (and some serious whisking). Then comes the melted butter. I like to add more fresh tarragon at the end. 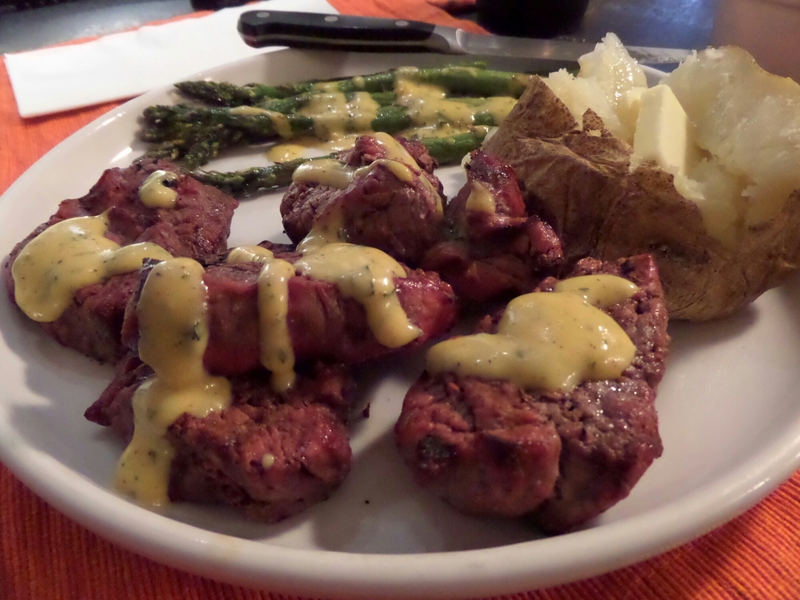 Grill up some steak, roast some asparagus and smother it in bearnaise. 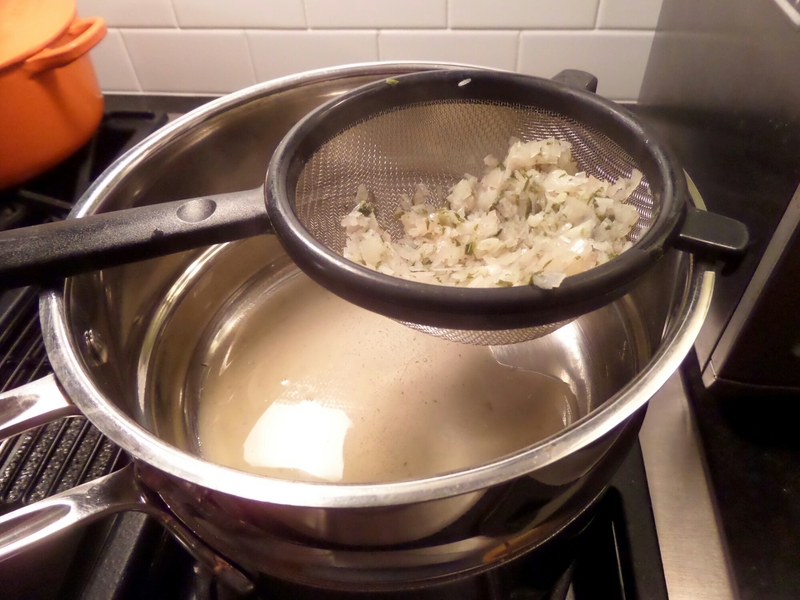 Dice the shallots and tarragon and add them to the vinegar and wine, in a medium saucepan over medium heat. (I use the bottom of the double boiler). Bring it to a boil and remove from the heat when it’s reduced to about 1/4 cup. Strain the mixture into the top of the double boiler. Add water to the bottom saucepan and bring it up to a simmer. 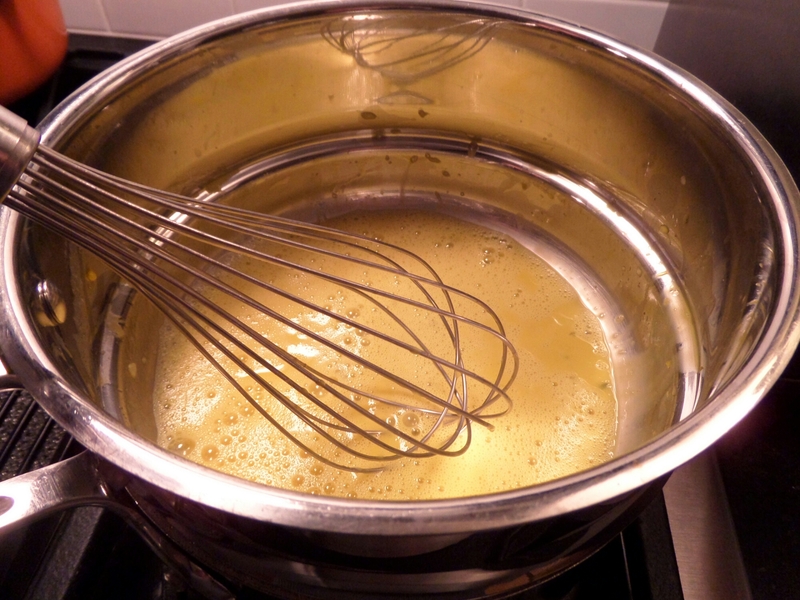 Add the four yolks to the strained liquid and whisk constantly. Then put the top pan over the bottom pan with the simmering water. Keep whisking!! As soon as it begins to thicken, remove the top pan from the heat and let the water cool down (throw in a few ice cubes). Put the top pan back over the water and add the melted butter, while whisking. If the sauce begins to break, remove it from the heat and add a tiny bit of cold water. Add the salt and pepper and that’s it!